I’ve been working in Singapore for two and a half years now and while I’ve adjusted to life here, I still don’t have a permanent home (I keep moving whenever the lease ends). 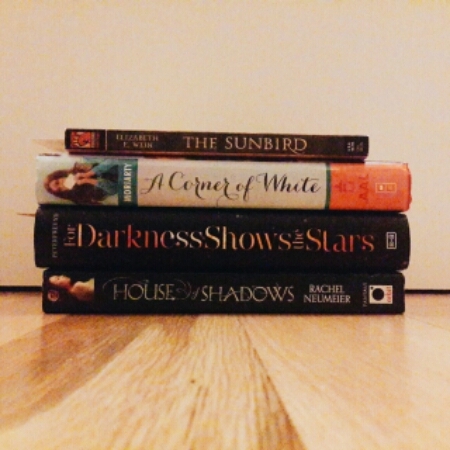 So I’ve talked about having separation anxiety because most of my books are back home in Manila. I’ve dealt with this situation by bringing back to Singapore some of the physical books that I haven’t read whenever I fly home for a visit. I’ve also made a conscious effort to purchase ebooks instead of paperbacks or hardcovers (making an exception when I have the chance to get a signed copy) last year because they’re much more practical. It’s funny how being based abroad has changed my preferences as a reader. 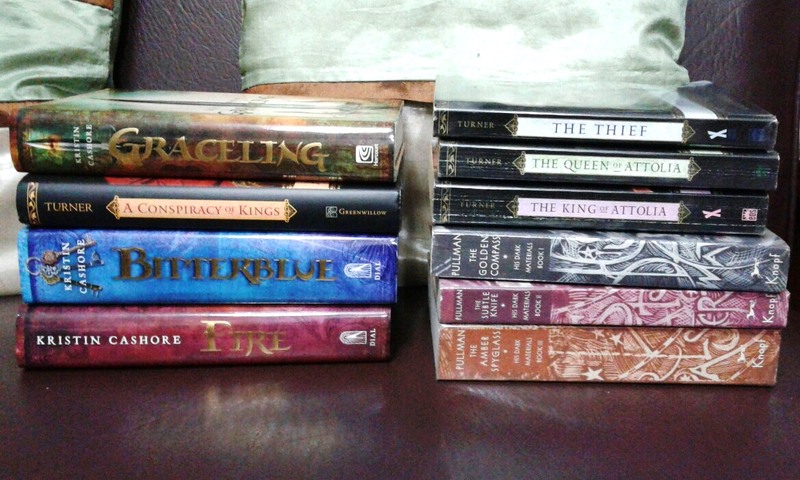 If I was still living and working in Manila, I would definitely have a stronger preference for physical copies. Friends dropping by my house and going through my bookshelf to pick out titles that looked interesting to them. 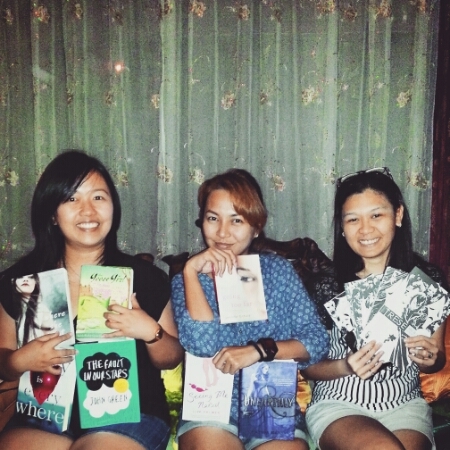 Books that were borrowed and returned by one friend, then picked up by another friend from our house in Manila. The borrowing system works even when I’m in Singapore. 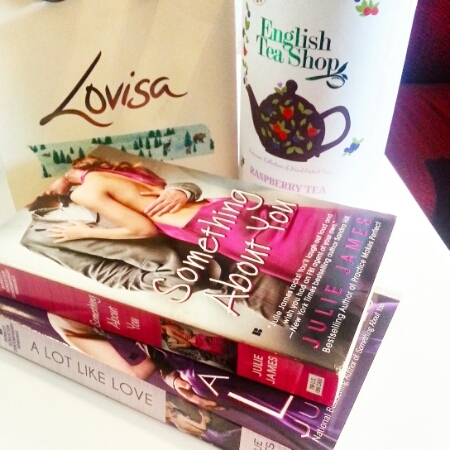 Passing on my Julie James paperbacks to a friend who likes contemporary romance. 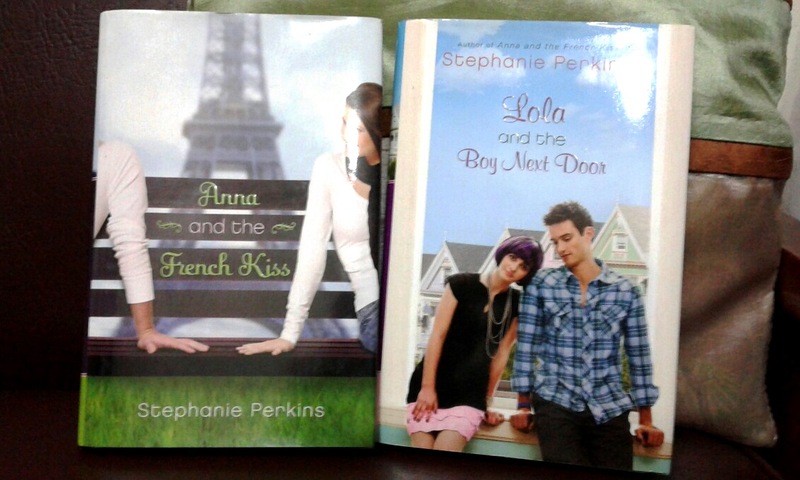 Some books that I’ve sent to my friend espressodream in Kuala Lumpur. I wasn’t able to take a picture but I also passed on my copy of The Moon-Spinners by Mary Stewart to a friend who liked Nine Coaches Waiting. I know it’s her dream to visit Greece someday so I thought a Mary Stewart set in one of the Greek islands would be perfect for her. Two of my other Mary Stewarts have gone to blog buddies: Nine Coaches Waiting to Maggie and Madam, Will You Talk to Angie. I wish international shipping was more affordable because I would love to send more of my books to blog friends in other parts of the world. As it is, I can only do it once in a while. I would probably let go of more of my books the next time I’m home because it makes me feel better to know that other people are enjoying them instead of being left ignored on my bookshelf while they age and turn yellow because of the climate. If I knew that my books would still be in great condition even if I leave them, I don’t think I would worry about them too much. Is this a situation that you’ve found yourself in? It would be interesting to hear what other readers have done with their books when they find themselves moving to a different country. I feel you re: changed perspective on the book copy to buy. I’ve always LOVED collecting books but in recent years, I’ve found ebooks to be more convenient. The issue about physical versus digital should not be discussed in black and white; there are many factors that contribute to the reader’s decision-making. Anyway! This will come as a shameless plug but then I guess it wouldn’t hurt to try: Should you have extra books you want to share outside your circle, you might want to give them away to bookbed (bookbed.org). We’d be happy to host!